Most people don’t think of the furniture industry as being green. But the truth is, since we use so many raw materials, we have a great opportunity to reduce our environmental impact. Here are a few of the ways that we have partnered with the Trica brand to bring you sustainable-built barstools and other furniture. Trica builds furniture with wood from forests in Quebec that are owned by the Canadian government. The supply of timber is carefully managed, which allows low-level logging that doesn’t disrupt the forest’s ecosystem. With the right methods, this approach to timber can actually increase the strength of the forest. Trica prefers to use recycled materials in its furniture. 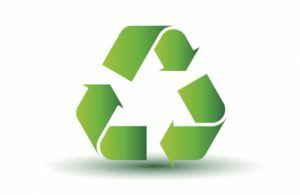 Contrary to the “old days” of recycling, when it was very labor intensive to reuse goods, today’s recycled materials often require less processing than first-time materials. Our products by Trica use up to 80% recycled steel, aluminum and plastic. Trica also recycles 100% of its manufacturing scrap, as well as all of its cardboard, paper and glass. When you bring newly painted furniture into your home, it usually goes through a process of “off-gassing.” This means that chemicals called VOC’s (volatile organic compounds) from the paint evaporate into the air, creating a toxic atmosphere. Oil-based paints are the most common source of off-gassing. Links have even been drawn to birth defects, endocrine disruption and cancer. Trica’s steel and aluminum products avoid these dangers by releasing zero VOC’s into your home. The furniture is baked with a lead-free powder coating that doesn’t off-gas, so you can be sure that the air in your home is clean and safe. If you have any questions about the history or materials of our furniture, please post them on our Facebook page. We love answering your questions and hearing what is most important to you. In the meantime, we’ll continue to find top quality, green products for your home.